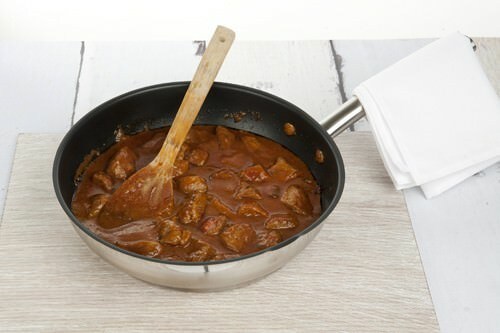 Thanks to The Spice Tailor I want to share another quick recipe that will help you get the family dinner on the table in only ten minutes, Lamb Tikka Masala. As regular readers would know I was sent a selection of Spice Tailor sauces to trial and review. The first curry kit I tried was the Punjabi Tomato Curry which I added spinach and paneer for a tasty vegetarian dish. The recipe is featured here. 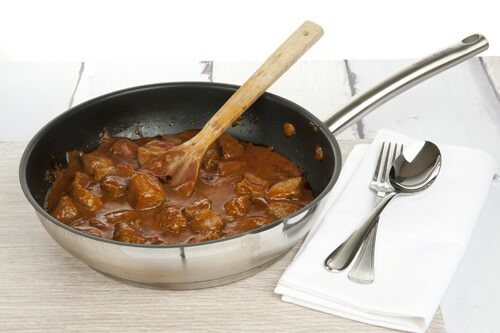 Today I am reviewing the Tikka Masala sauce base to which I have added lamb, a little extra chilli and some cream. 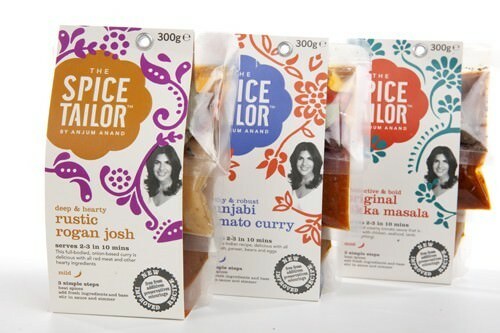 The Spice Tailor sauces have made the task of creating a tasty dish for a mid week meal so easy. I have particularly enjoyed the authenticity of the flavours that frying off the packet of whole spices gives the dish. My kitchen smelled like a curry house. 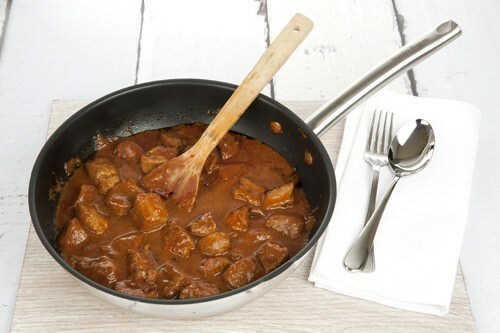 A quick and easy way to have a delicious and authentic curry made in your own home. Heat the oil in a frying pan and add the first spice sachet and the diced chilli. Cook until fragrant. Add the lamb to the pan and fry with the second sauce sachet. Reduce the heat to low and add the third sauce sachet. Cover the pan and continue to simmer on low until the meat is cooked. Stir through the cream and serve with rice. 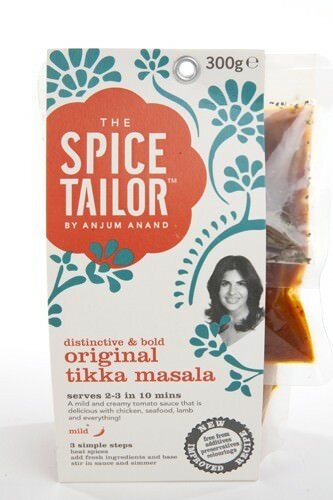 If you would like to try “The Spice Tailor” sauces, the range is available at Coles Supermarket. The sauces are completely free from any artificial colours, flavours or preservatives.